Our beautiful Keepsake Wax Lantern Memorial Candles - Small are handmade in the USA with real garden flowers and adorned with Clear Swarovski Crystals! 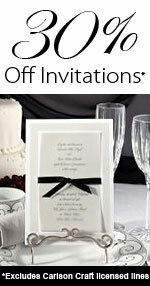 They are beautiful to use at your wedding to honor the memory of your loved ones who have passed away. Keepsake Wax Lanterns also make lovely gifts for a Bride and Groom and can be personalized with their names and wedding date. They also make wonderful gifts for Bridesmaids, Anniversaries, Birthdays or for any special occasion! Keepsake Wax Lantern Candles are hollowed out wax candles that include a 6 hour votive candle that is placed in the middle of the lantern. Since the votive is replaced, the keepsake lantern remains intact and never burns, giving a warm, romantic glow to any room! Each one is hand decorated with real flowers! Blue Bouquet, Violet Bouquet & White Linen.